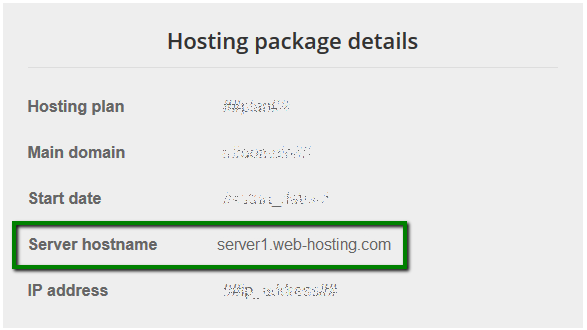 When setting up different FTP, mail, MySQL programs, etc., you need to specify the server hostname. You can check what server your account is hosted on in different ways. Also, you can use the cPanel login button in the Namecheap Dashboard. NOTE: Alternatively, to set up an application, you can use your account IP address as a hostname.